please read the information below before using this. 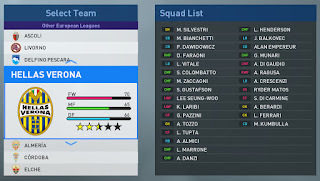 In smokepatch19 we have created all the teams from the laliga2 and serieB, with real squads and kits, in the hope to find a way to add these leagues to SP19 without having bugs, so far unsuccessful so we kept them hidden. 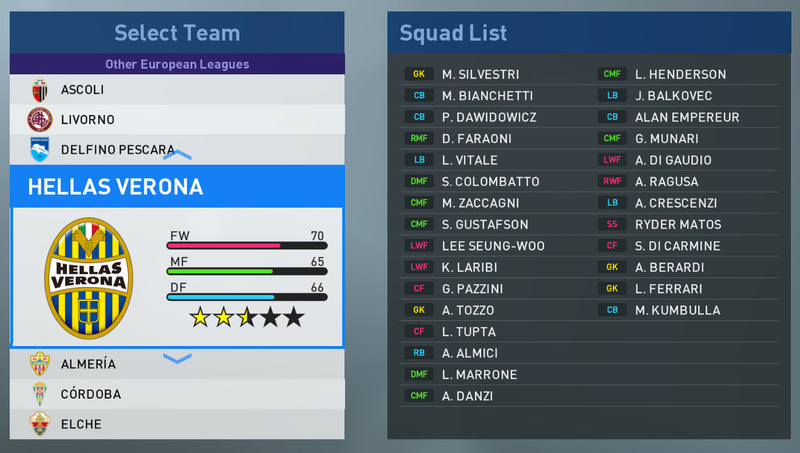 Unlocking this teams in Other Europe means that there is a chance that some will appear in European championship when you play master league, there is no way around that. 1. Download and copy (08_smkdb_ulk.cpk) in the download folder of the game (replace file), backup the original file. if you want to go back to default patch, use the file you made backup, if you do that you will need to reset the competition structure again. OMG THX very very mutch! after replace 08_smkdb_ulk.cpk and reset structure competition, i still can't see seria B and laliga2...whats happen then? owh I'C ....thanks a lot man! great job! 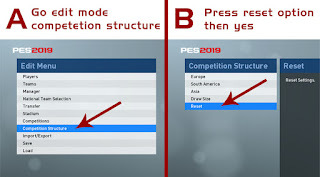 Can you make an addon to replace championship with la liga 2 or serie b for those ho want to play in those leagues?It will be great if you can manage that! i have someone working to do some similar experiment, if successful then we will release this options. Please release next time the missing europa league teams trading with this ones. Thank You Smoke. Here's a PNG image to save the tutorial. Converted and edit on paint. Ah, perfect! Can I ask something? Is there a way to actually edit some numbers of shorts of the EFL teams? 'Cause most of them are like... Merged with the sponsor (for example, Nottingham Forest has Macr"5"on in the short). It would be great to be able to replace any of the existing leagues with these teams. Is there any way to do it manually? I just can't keep calm for pes 17 patch and 146 stadiums.. what an awesome news!!!!!! Hey,sorry for asking.But do u know when u can release Stadium Server for Pes 17? as shown in the progress tab its under testing, along with the patch for maximum compatibility, it will be released after the patch is released and all files are received and ready for the server. - You will have new teams in Friendly match but not in saved ML file ;) works for me! The reason why i want the missing europa league teams in. Yes, the Idea is good! To make 2nd version and replace those teams with more european club teams! It would be awesome if you put the Ledman Pro (2nd divison of Portugal), I would be very appreciated! Keep up the good work with the patches!